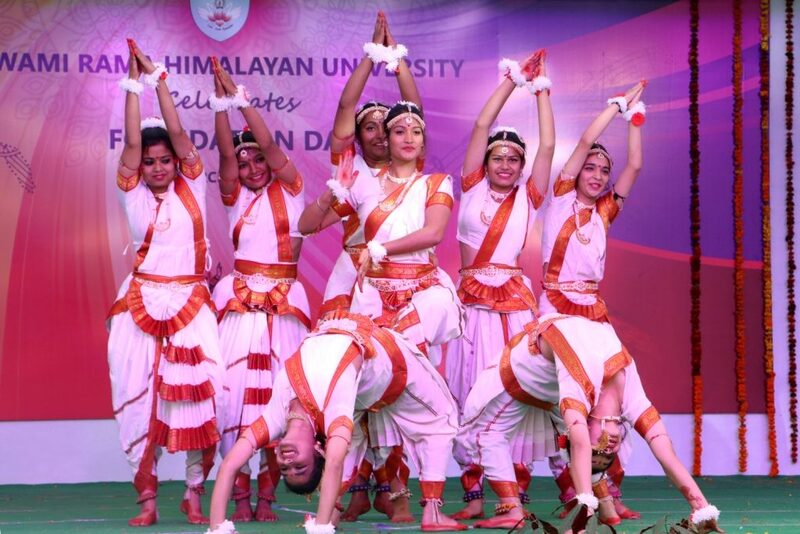 Swami Rama Himalayan University (SRHU) celebrated its annual cultural festival – the Foundation Day from 12-14th March, 2019. 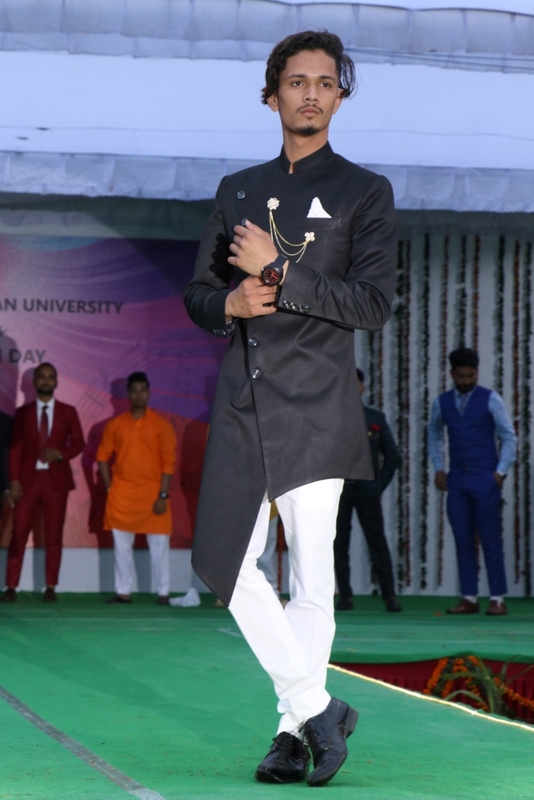 Providing unique opportunities to the young students and staff for showcasing their talents, the festival filled the campus with colors, energy, creativity and cheerfulness over the course of three days. Chief Guest - Subodh Uniyal, Cabinet Minister, and Dr. Vijay Dhasmana, Vice-Chancellor SRHU jointly inaugurated SRHU Fest-2019 by paying homage to HH Dr. Swami Rama in a lamp lighting ceremony. 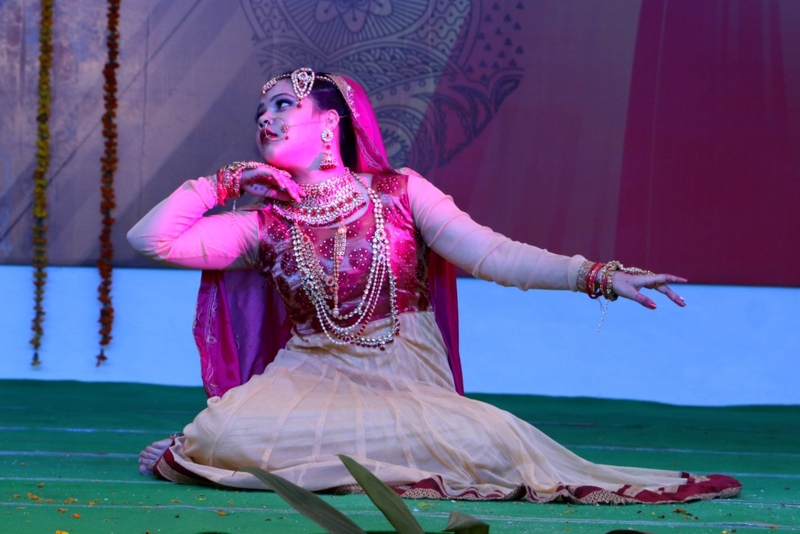 A wide range of cultural performances based on songs and dance on Punjabi, Rajasthani, Gujrati, Bengali themes were presented by the students. Shikha & group from the Rural Development Institute (RDI) put forward the first act of the cultural fest with a bhajan on a garhawli song. Aakansha & group from Paramedical department presented a memorable Rajasthani dance performance. Mirika and group from Engineering and Sonika & group from Nursing stole the show with their Bollywood sequences. Deepali & group from Nursing again performed on a Marathi number while Itika & group added some Bengali flavors with their stellar performance. The celebration of the day ended with a thunderous applause from the audience for a joker-themed dance drama by Yakshita & group from Paramedical. The first day of the celebrations also saw 38 University students being recognized with Literary and Sports awards for the session 2018-19. Students were recognized for their artistic display in the categories including mehndi, painting, card making, rangoli and photography. Aniruddh Uniyal, Pradeep Singh, Aarushi, Shikha, Akash Kushalali, Sonal Thapa, Vaishnavi, Riya Negi, Shilpi Godiyal, Aditi Saxena, Shubham Singh and Dr. Ratna Singh won first prizes in their respective categories. The program was moderated by our students Gehna, Ruchi Bhandari, Mayank and Bhanu Pratap, among others. The second day of the fest proved to be even better. Artistic creations of the students were full of cultural colors of Garhwali, Punjabi, Bengali and South Indian traditions. Tiny tots from the Vidya School flagged off the day with an adorable Garhwali dance number. Shilpi & group took the day forward with their energetic dance. And when Akash & group took to stage no one was left without clapping for their amazing performance. Aarti & group chose to spread a social message with their performance themed around Beti Bachao. Shivani & group gave the audience true taste of Garhwali folk while Riya & group and Shubham with his troupe left everyone enthralled with their Punjabi dance sequences. Shivangi & group put together Shiv Stuti while Tina & group engaged audience with their artistic presentation. And rightly so, the best was saved for last. Harbant & group set everybody on fire with their high octane mix of Punjabi folk songs and aesthetic use of props in their dance sequence. The events of the second day were moderated by our students Aanchal, Archie, Deeksha Pokhriyal and Krishna Bahadur. 90 students were recognized with academic awards on the second day of the festival. 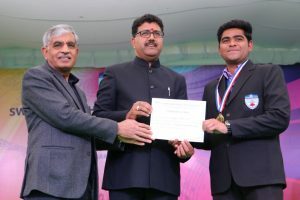 Dr. Shivam Dung, Dr. Nishant Basoya, Dr. Ankit Agarwal, Dr. Vinay Kumar, Vivek Rajdev, Ruhi Nanda, Bhakti Sharma, Manshi Bansal, Akash Gupta, Abdullah Israr, Yumni Bhandari, Apurva Tiwari, Kiran Singh, Pragya Sharma, Shruti Sharma, Surabhi Chaudhari, Ananya Sharma, Garima Rawat, Vimal Kumar, Mohit Negi, Mudit Johari, Jeet Ghosh, Anuradha Singh Rana, Diksha Kala, Shreya Kumar, Yashashvi Verma, Swapnil Rawat, Sakshi Chamiyal, Ayushi Ahuja, Ashok Kumar, Garima Upreti, Mitali Negi, Ankit Kumar, Divya, Khushi Dhasmana, Shivam Paragai, Prachi Gupta, Rakesh Pundir, Garima, Sneha Devli, Pooja Sunderiyal, Tenjin, Priti, Pankaj Rana, Anushka, Prachi, Sahista Ali, Gunjan Trivedi, Anjali Lakhera, Harshit Jaiswal, Nancy Routela, Akshat Rawat, Pradeep Singh Rawat, Manisha Goyal, Sakshi Bhandari, Ashish Methani, Shubham, Gaurav, Yogesh, Kanhaiya, Babita, Kajal, Mayank Sati, Vinisha Jugalan, Ankit Ghildiyal, Manisha Negi, Niharika Thapilal and Rashi Goyal. The third day of the fest was made memorable by the faculty and staff of SRHU. Amidst a cloudy day and cool breeze the participants came forward with sensational performances one after the other. 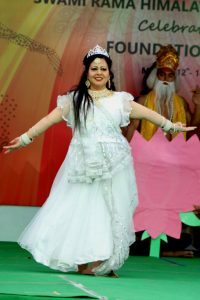 While Dr. Meenu Gupta & group stirred hearts with their performance Ganga Avtaran, Mahima and group targeted raising awareness towards cancer and its ills with their dance drama. Shashi Dhyani, Ritika Agarwal and Pooja Rawat from the HR Department enthralled audience with their Bollywood medley. In a rather emotional presentation, staff from Nursing college paid their tributes to the martyred soldiers of Pulwama terrorist attack, leading audience to shout slogans of Jai Hind. Thereafter, a Punjabi dance by Megha & group, and Garhwali dance by Sakshi & Group lifted everyone off their seats. Dr. Nitin Dikshit entertained the audience with his gimmicks and surprise entries throughout the fest. Abhilash Dobhal, Rahul and Shrishti presented solo songs while Roshni & group, Manas, Harshit, Aditi, Shilpi, Anjali & group, and Akansha & group left everyone tapping their feet with their dancing skills. 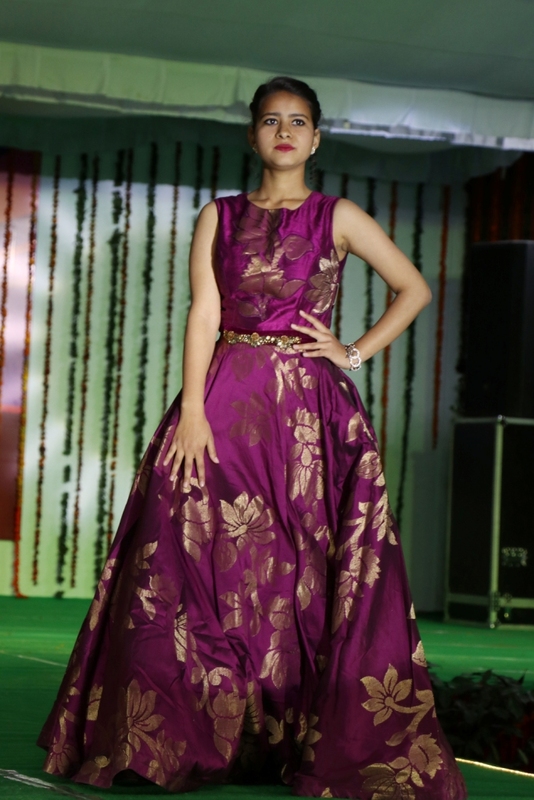 The show stopper of the day was the Fashion Parade where students, faculty and the staff came together to dazzle the audience with their looks, attires and attitudes on ramp. At the closing ceremony, students were awarded their Diplomas. Abhay Gusain, Alok Thapaliyal, Ashish Bhatt, Gaurav Kantura, Gautam Saini, Khem Pundir, Manav Badola, Nirmal Singh, Nishank Kaushik, Nitin Rawat, Pranab Shastri, Pranay Nautiyal, Rohan Sharma, Sachin Rawat, Sharadul, Shubham, Vikas Bijlawan, Vikas Kukerti, Vipin Singh, Vishal Chauhan, Gaurav Baroni, New Bisht, Manmohan, Aditya, Ankit, Saurav Khanna. All in all, Foundation Day 2019 proved to be a true amalgamation of cultures, colors, talent, energy and enthusiasm, truly reflecting the spirit of SRHU.